Happy New Year everyone! It is New Years Eve and I am sat writing this in my pyjamas with no intention of leaving my house. I am a massive hater of the New Year (I don't like change) so I don't like to go anywhere and endure some enforced fun. Instead, I am much happier at home on my own with a selection box of luxury biscuits. 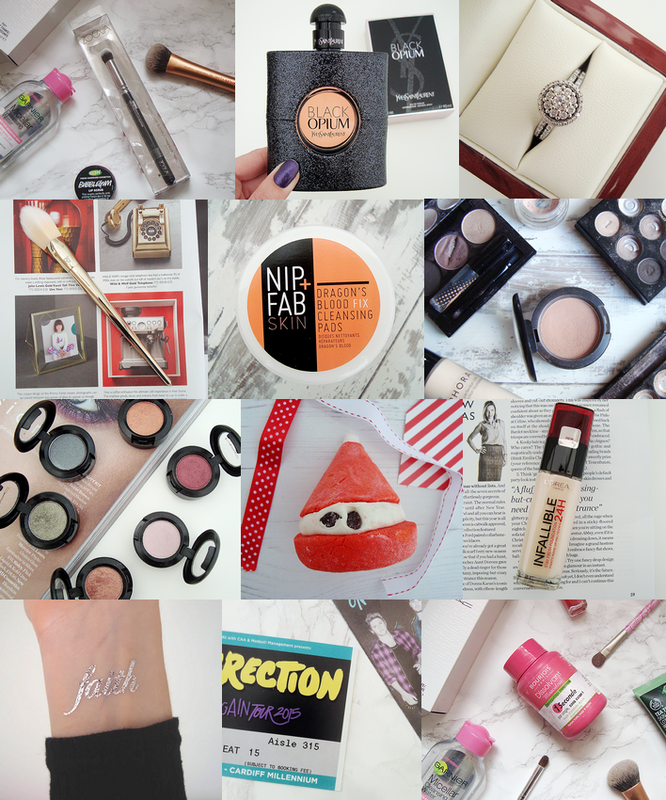 Like every other blogger out there I thought I would use the last day of the year to look back at 2015 on its highs and lows. Except - nothing really happened. I didn't meet the love of my life. I didn't get married, have a baby or buy a house. I didn't get a substantial pay rise at work, I didn't finally decide on a career which would motivate me and make me look forward to 2016. Nothing actually happened. I simply survived another year, and that's okay. Brilliant, in fact! I am still here, alive and healthy and that's great. Although, smaller, less substantial things happened to me. Like, for example, I flew on a long haul flight on my own. This was an utterly terrifying prospect for me and even on the way to the airport I still didn't think I would actually get on the plane but I did. I walked onto the plane, sat down, then got up and walked off 8 hours later. And it was fine. Being able to do this on my own gave me a massive confidence boost. I didn't need anyone to help me do it - it was all me and yes, getting on a long flight on your own isn't enough to deserve a medal but I gave myself a little pat on the back as I walked through Arrivals, pleased that I managed to get through something which I dreaded for so long. Another small memory to take from this year was seeing my beloved Harry Styles in the flesh. I am a massive One Direction fan so actually seeing them with my own eyes in the summer at a concert was a real "yay" moment. Okay fine, I was sat so far away that even if I squinted I could just about make out a moving body on the stage but we were technically in the same room together and that made it worthwhile. I was also really pleased with myself for deciding to get back behind my computer and start blogging again this year. I really went off it and went a few months without even logging on but I decided to give it another try and I love it, even more the second time round. So much so that I have bought my own domain and layout and I now dedicate my free time to writing blog posts, taking photographs and editing them. I still have a long way to go with this little blog but I am ever so grateful to whomever reads it, comments occasionally or even just glances at my photos if they see them on twitter. Whilst I am not setting myself any new years resolutions, I do have a few goals that I would like to achieve in 2016, if I can. I would like to get into a proper gym-going routine. I used to go nearly every day but then I became poorly and I haven't been for a good few weeks now. I would love to just tone up a little bit and feel a little better about myself. To help this, I will cut down on biscuits but I'm not promising anything! I would also love to find a career I adore. This is a tricky one as I need to find something that I would love to do. Life is a very long time and I would hate to be in a job which made me so deeply unhappy. Speaking of unhappiness, one unhappy moment for me this year was Zayn leaving One Direction. I was at work and my friend actually came in and told me. I was so upset, it was unbelievable. Ha ha.